The Ukrainian member of the alliance Ius Laboris Vasil Kisil & Partners traditionally receives positive acclaim for being among the strongest practices on the Ukrainian legal market. Noteworthy instructions of late included advising a subsidiary of global manufacturer of clothes on the specifics of relations with a trade union, procedure of establishment and legalization of trade union, specifics of its dissolution, rights and powers of trade union representatives; advising a global leader in medical systems on termination of employment with protected categories of employees, negotiating on exit packages, elaborating and execution of termination documents. Oksana Voynarovska, practice head, is noted for her long lasting experience and is highly regarded by peers. Baker & McKenzie remains a preferred legal counsel for multinationals present in Ukraine. The Kiev team’s expertise encompasses employment law audits, layoffs, reductions in force, internal corporate investigations, and due diligence reviews of employment law liabilities in corporate acquisitions. ArcelorMittal is constantly advised on Ukrainian labor law, including relations with the trade union and issues arising out of collective disputes and strikes. 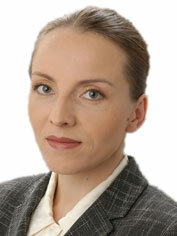 Lina Nemchenko, partner, heads the practice and regularly advises clients on data protection and general labor law. Endorsed by interviewees Mariana Marchuk, counsel, advises on labor and migration law, employee compensation, executive transfers, data protection, and employee termination, collective disputes and collective agreements, trade unions. Sayenko Kharenko’s employment team transformed itself into a broader labor and compliance practice. In 2014 it advised on over 60 labor law/compliance projects, the majority of which were new wins. The work highlights include consulting on employee transfers, personnel outsourcing, military service/mobilisation laws, workplace health (safety), employee compensation and benefits, “do not hire” lists, adjusting global HR/compliance policies to Ukrainian law, and conducting employment/pension law due diligence of Ukrainian targets. The team successfully settled via mediation several complicated dismissals of top managers, including FCPA related. The counsel Svitlana Kheda, who heads the practice, is recognized for labor law, data protection, anti-corruption, employment mediation. The employment practice of Dentons in Kiev is one of its key strengths and covers contentious, advisory and transactional work. The office is a point of choice for many international companies doing business in Ukraine, which from the industrial breakdown perspective include agricultural, manufacturing, construction materials, pharmaceutical, luxury, financial, professional services and real estate sectors. The team is also experienced in handling cross-border employment matters. 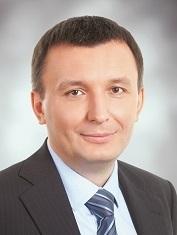 The recent projects portfolio includes such matters as general employment, immigration, termination, data privacy, disputes, trade unions, implications of the recently amended military service and mobilization laws on the employers.Experienced partner Volodymyr Monastyrskyy is the practice head. Arzinger provides extensive support across all key areas within the practice. The firm regularly acts on outstaffing, civil and employment agreements, advises on labor aspects of corporate restructurings, intra-group personnel transfer, personnel in the zone of the anti-terrorist operation and mobilized personnel. Recent selected highlights to note are successful representation of a large bank, a member of world-famous banking group, in a labor dispute with a former head of a regional branch; consultations on structuring cross-border employment relations with personnel provided to a world leader of the professional hygiene market. Some selected names from the client list include Porsche, TP Vision, Adecco, Scania, Ranbaxy, Zeppelin, Boehringer Ingelheim, Abbvie, Tetrapak, Dexcel, Vestas, Nestle, Sensient, Norres. 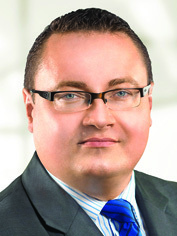 Pavlo Khodakovskyy, partner, leads the six-lawyer team. ILF (Inyurpolis Law Firm), with offices in Kiev and Kharkov, practices individual and collective labor law. The firm has a wide focus including advisory and contentious matters. The clientele is a combination of domestic and international players, such as SIBUR International GmbH, SPS Ukraine, Technique Partners LLC, Global Ryder Corp., EchoStar LLC,BASF, Cargill, and others. The instructions from clients covered redundancy and mobilization, a range of employment issues, including non-residents, compensation schemes, compliance, disputes. In 2014 the team advised on an individual and collective bargaining agreement of its client SPS Ukraine; advised EchoStar LLC on employment of non-resident; acted for subsidiary of a major trader of grain crops Cargill in a labor dispute with a former employee. 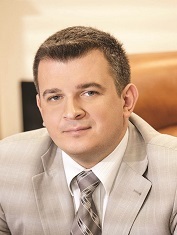 Partner Sergiy Silchenko is the eminent practice head. Asters is active throughout advisory, transactional and litigation, and is typically instructed by large international clients. To name a few: European Union Delegation to Ukraine, Molson Coors, L’Oreal Ukraine, Swedbank, Visa, Armstrong, VTG AG, Wizz Air Ukraine Airlines LLC. The firm was recently focused on compensation issues, complex restructuring, employment termination, management relocation, mediation and litigation. Armen Khachaturyan, Yevgen Kravtsov and Vadym Samoilenko are contact partners. In 2014 Egorov Puginsky Afanasiev & Partners Ukraine advised a substantial pool of international clients on Ukrainian labor law issues: Adamed, Apax Partners, Caesars Entertainment Corporation, CISCO System, Husqvarna, Intesa Sanpaolo, KWS SAAT AG, Oikocredit, Printec Group and many others. In particular, the firm’s employment and corporate teams provided its long-standing client — an industry, trading and investment giant headquartered in Japan, with full scope Ukrainian law advice relating to internal policies, managing the Ukrainian branch and employment of personnel, including foreign nationals too. The recent caseload also included structuring of employment relations, migration, incentives, compliance policies, labor disputes. The practice is led by Aleksandra Yevstafyeva, senior associate. The majority of clients of CMS Cameron McKenna are international majors, especially energy and IT sectors. The Kiev team’s work encompassed employment of foreign staff, regional and collective bargaining agreements, employment termination and redundancy, mobilization issues, etc. Olexander Martinenko, Nataliya Nakonechna and Victor Chykyrynda are key contacts. Gide Loyrette Nouel provides clients, predominantly big international companies, with advice on structuring of employment relations, secondment arrangements, employment liability, labor aspects of business restructuring, compliance issues, employment litigation. In 2014 the Kiev office advised a number of companies, including a world-leading insurance company on the peculiarities of transfer of employees from Crimea; advised a worldwide leader on the construction of factory-built modular buildings, with regard to operation of its subsidiaries in Eastern Ukraine, including complex employment issues. The practice team is headed by partner Bertrand Barrier, with key input from Illya Tkachuk and Vasyl Yurmanovych. The DLA Piper team in Ukraine does a lot of labor-related work, including within the framework of transactions, as well as separate projects for employment, termination, outsourcing, salary and bonus payments, drafting and implementation of internal labor policies, employment due diligence, representing clients in courts with regard to employment issues. Margarita Karpenko, managing partner, is actively involved in practice, and Galyna Zagorodniuk and Alla Kozachenko, legal directors, provide labor law advice along corporate support within transactions and on a stand-alone basis. 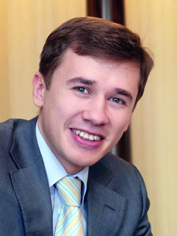 Mykhaylo Byelostotskiy, senior associate, deals mainly with contentious labor-related matters and complicated dismissal scenarios. Among his recent projects are representation of a number of clients in contentious cases on the dismissal of employees. The tax team of the office, including Svitlana Musienko, partner and head of tax, and Dmytro Donets, senior associate, often advise on the tax implications of the projects, among the recent — advice on stock option plans for a number of international clients for their local employees. The team of Integrites,an international law firm headquartered in Kiev, provides advice ranging from employment of personnel to taxation of labor activity and regulation of labor issues in M&A transactions. Among others the employment client portfolio comprises Chemtura Agrosolutions, Eni S.p.A., Aspen Pharmacare Holdings Limited, ZTE Corporation, Emirates aviation company, VTB Bank Ukraine. A recent important highlight was adapting the employment group compliance manual of Rockwool Ukraine, a leading world supplier of innovative products and systems based on stone wool, to Ukrainian legal perspective as well as providing the client with practical advice on relationships with the state authorities. 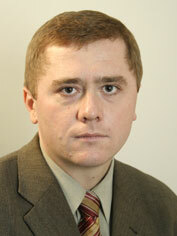 The five-lawyer team is guided by partner Oleksandr Aleksyeyenko. In 2014 Avellum Partners became active with recent work including cases concerning liability, dismissal and appointment of CEO; employees transfer; obtainment of work permits for non-residents; compliance. The team, as led by managing partner Mykola Stetsenko, recently advised the major international IT company Intapp on issues related to employment of developers, as well as confidentiality and IP from the Ukrainian labor law perspective. Peterka & Partners acts on general employments matters of its international clients doing business in Ukraine. The office recently had instructions from Oney, the Ukrainian subsidiary of Banque Accord from Oney group, in connection with corporate and employment issues. The firm advises PSA Peugeot Citroёn Ukraine, Konica Minolta, Ukrainian subsidiary of a leading provider of mobile VAS solutions, ICZ a.s. Nina Sydorenko is a lead partner. In 2014 Gvozdiy & Oberkovych provided labor law due diligence for large pharmaceutical, agrarian, retail companies and tourism operators. Among the firm’s key clients are Ukrainian subsidiaries of international companies such as Marks & Spencer, GAP, Zara, Reckitt Benckiser, JTI, American Technologies, Amazone, Metropharm. Azelis Ukraine, a leading global distributor of specialty chemicals, were advised on development of official instructions and regulations, development of a procedure on general manager substitution; Aviareps AG, the world’s leading tourism and airline sales and marketing company, was counseled on drafting a top management substitution procedure and employment contracts. The law firm advised the Kyiv Academic Puppet Theater regarding labor law issues, supported the client in several labor disputes related to certification of personnel and dismissal and reinstatement of officials. The practice team consists of senior associates Maksym Lebedev, Iryna Kalnytska and associate Kateryna Manoylenko, led by the partner of the firm, Sergiy Oberkovych. AstapovLawyers international law group advises on termination of employment relationships, providing legal research of employment issues for deploying employees from other countries to Ukraine, and acts on amending employment agreements. Oksana Kneychuk is a key contact. Ilyashev & Partners, known for its strong litigation performance, and guided by Mikhail Ilyashev represented NetCracker in a dispute with the Social Protection Fund for People with Disabilities regarding employment of people with disabilities. The firm gave advice to a large European oil company on issues of rights of an employer in case of beginning of military operations. KPD Consulting Law Firm acts on obtaining work permits for foreign citizens; appointment, retention and transfer of personnel; termination of employment and dismissal; drafting collective labor agreements and internal labor procedures; advising on employee remuneration and benefit schemes, as well as long-term incentive plans and structures for senior management. Selected clients of the firm include IQ Consultancy LLC, C.B.R. LLC, Wincor Nixdorf LLC, HTTPOOL Holdings Limited, ERB Property Services Ukraine LLC. The practice head is Kyrylo Kazak. In the course of 2014 Gramatskiy & Partners gave advice to its regular corporate clients Promkabel, LKO, OJSC Quant, Playtech Ukraine, SKS LLC, Gold Mandarin, SNT LLC on issues of job placement and labor safety. Another important focus of the team, led by Olexiy Grishko, was representation of clients in labor lawsuits with top management. EY was engaged to carry out personal structuring projects for several Ukrainian high net worth individuals. The team provides ongoing advisory for a number of large multinational companies in the sphere of labor law, personal taxation, HR administration, immigration, expatriates; assist in resolving labor law disputes for a number of large multinational companies and conduct HR audits. Olga Gorbanovskaya, partner, head of human capital, is a key contact. The recent situation in Ukraine brought to Jurimex Law Firm, among others, new types of advice. This included advice to Pensionate Pribrezhnyi on labor relations in the Crimean peninsula; representation of an individual in a suit in respect of lustration; compliance with labor law in the area of anti-terrorist operation in Eastern Ukraine. General employment issues and disputes were performed throughout 2014. Senior associates Anna Antonenko and Svetlana Kononenko were involved. NOBLES, a domestic firmheaded by Volodymyr Yakubovskyy, impresses with its clients portfolio, which includes Rocket Internet, CLAAS, Groupon Inc., LSG Sky Chefs, Fujitsu Technology Solutions, H&M, Teradata. The team recently advised Rocket Internet on employment contracts, internal procedures, and top-management employment termination; and a multinational alternative energy provider on restructuring its Ukrainian management team. Kharkov-based Shkrebets & Partners carried out legal support of litigation over the reinstatement of the director of the Kharkov State Laboratory of the Veterinary Medicine and acted as legal advisors to the municipal enterprise Centre for the Treatment of Animals in litigation over the dismissal of the chief veterinary doctor. 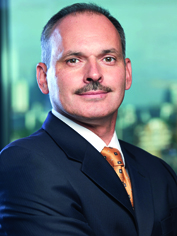 Eugene Shkrebets, managing partner, is the main contact. The labor practice of Dmitrieva & Partners,guided by Lyubov Ignatova, advisedon matters of personnel records, labor relations, enterprise restructuring, compliance with the requirements of effective labor laws, individual and collective labor disputes. The team, as led by Alexander Shemiatkin of WTS Tax Legal Consulting LLC (called KM Partners till August 2014), handled continuous consultancy on labor issues, including tax aspects. Attorneys’ Association Gestors acted as a legal adviser to American media communications agency Omnicom Media Group regarding the labor and immigration legislation of Ukraine. KPMG Ukraine’s practice included comprehensive legal and tax advice on staff movements in connection with business restructuring. The recent work highlights of Lavrynovych & Partners are representing an ex-employee in a dispute on reinstatement, payment of a salary for time of forced layoff, compensation for moral damages. Copyright © Yuridicheskaya Practika Publishing, 2002–2016. All rights reserved.